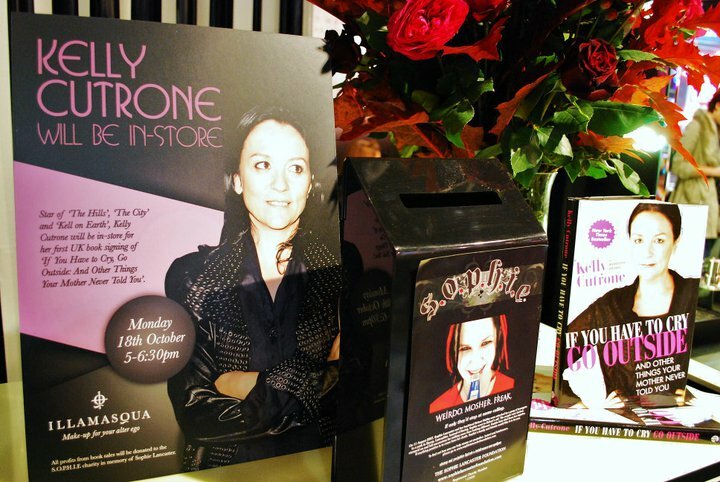 Yesterday afternoon, the Illamasqua team welcomed the infamous Kelly Cutrone of New York’s hottest PR agency Peoples Revolution into the new flagship store at Beak Street, London W1. 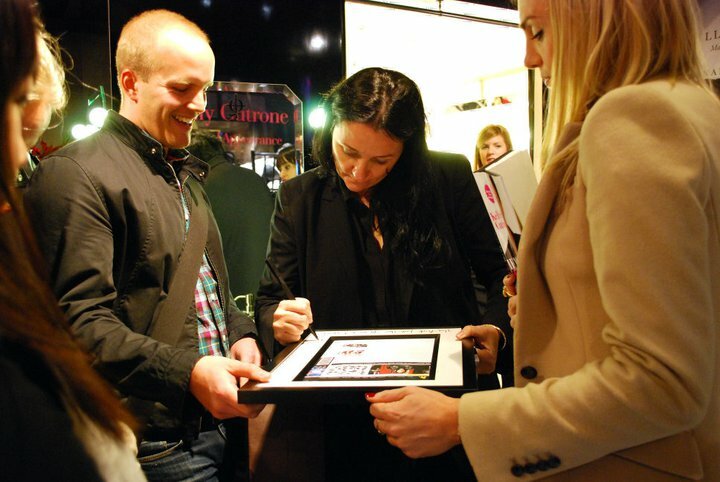 Kelly flew in to London especially to greet her fans and sign copies of her memoir ‘If you have to cry go outside [and other things your mother never told you]’. 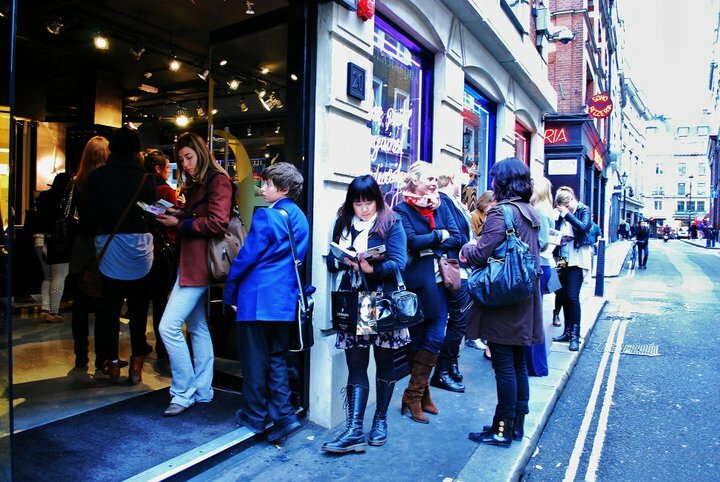 The crowds began forming at lunchtime with everyone wanting the chance to meet and speak with Kelly and by 5pm the queue had stretched around the shop and half way down Soho! 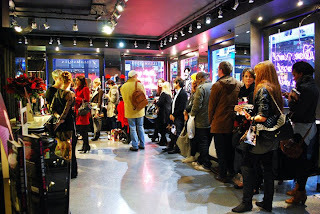 After a press call that included top end magazines, bloggers and a lucky Youtuber, we opened the doors. 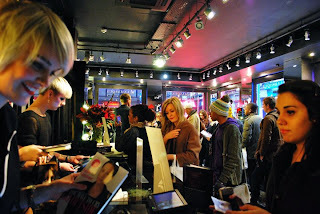 Staff from local businesses, budding entrepreneurs, fellow PR gurus, fans of The Hills, The City and Kelly’s own Kell On Earth were amongst the crowd assembled to be welcomed in to have their books signed. 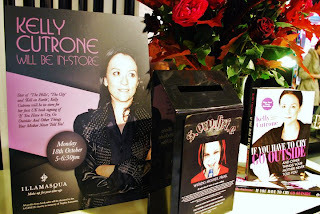 She also spoke about her appreciation for Illamasqua and her respect for the S.O.P.H.I.E charity. 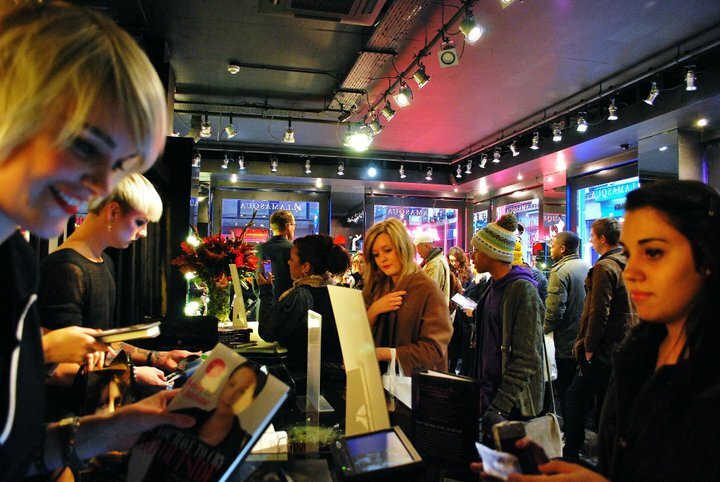 The profits from every book purchased were donated to the charity, with the books selling out within ten minutes and a scramble from the Illamasqua team to provide fans with posters to get signed in their place. Sylvia Lancaster also got to meet Kelly (below). 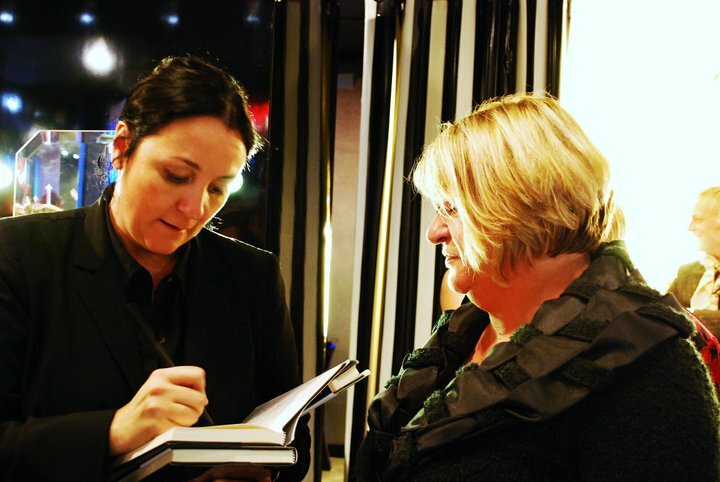 The event was a fantastic success, with many happy fans walking away with signed copies of her book and pictures of them with their idol! Thanks to everyone who came along and we promise to let you know next time Kelly is in town!